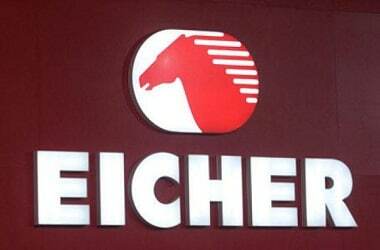 Eicher Motors has reported a net profit of Rs 459.44 crore for the quarter ended March 2017 as compared to Rs 343.10 crore a year ago. Total income of the company rose by 24% to Rs 2,132.54 crore as against Rs 1,728.99 crore. Reflecting the volume uptake of Royal Enfield.